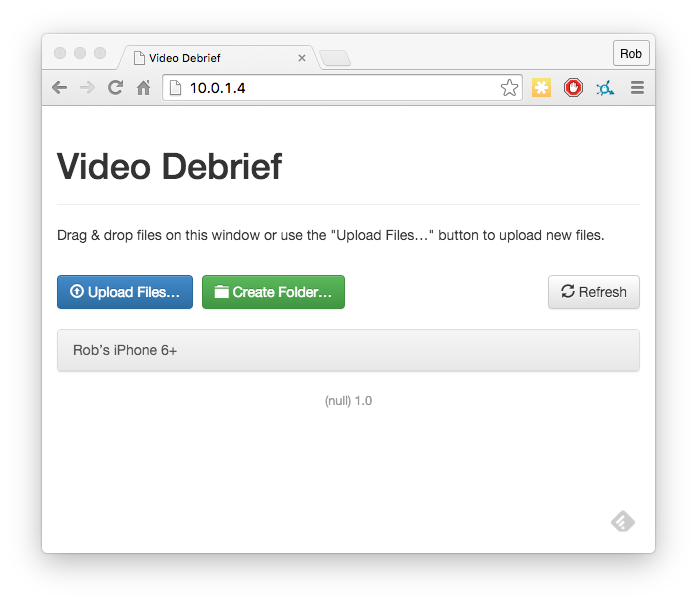 There are lots of ways to load videos. Sadly - Apple doesn't let us just connect a camera and access the videos directly, but it isn't too painful to work around those. If you have a fast wifi connection, and saved videos, Dropbox or Google Drive are great. Just tap on the open icon (bottom left) and pick Dropbox or Google Drive. These are already on your device, and are easily accessed. Just tap on the open icon, select 'Albums' and you can pick a video. Video debrief will then transfer it into the library and start playback. If you're in the field, then this needs an adaptor, and a slightly indirect route. Connect your camera, SD card or similar to your iDevice. Select 'Import' and import the relevant video. Your recently imported video should show up in the 'Import' section. 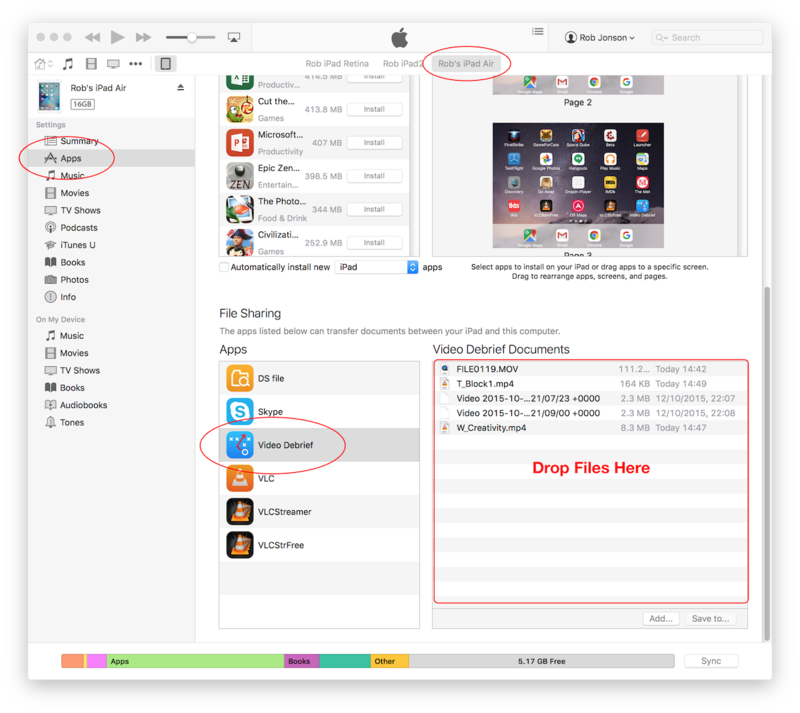 Drag files to the 'Documents' area. You will now be able to open those videos from the 'Open/Library' option. This page was last modified on 9 November 2015, at 15:54.